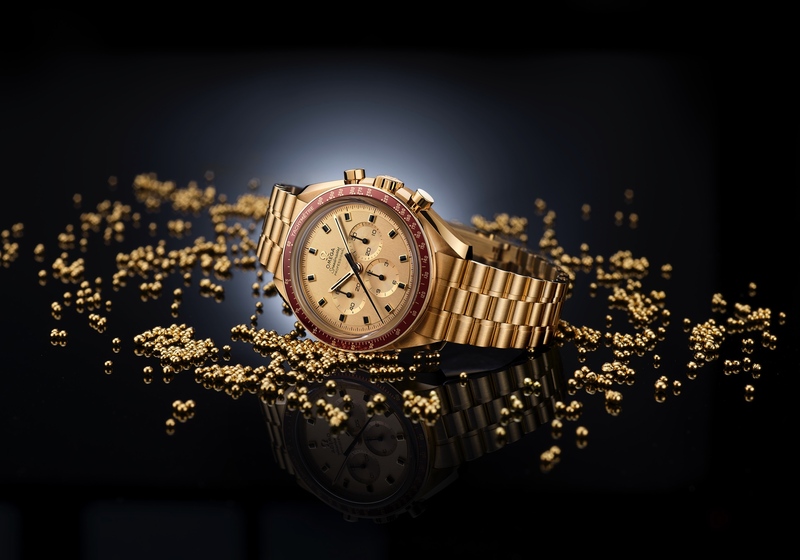 To celebrate the 45th Anniversary of the Apollo 11, which put the first astronauts on the moon, Omega created a special timepiece inspired by the original moon watch that was supplied by Omega and worn on that mission. Today’s date is significant because 45 years ago today, Apollo 11 landed on the moon. 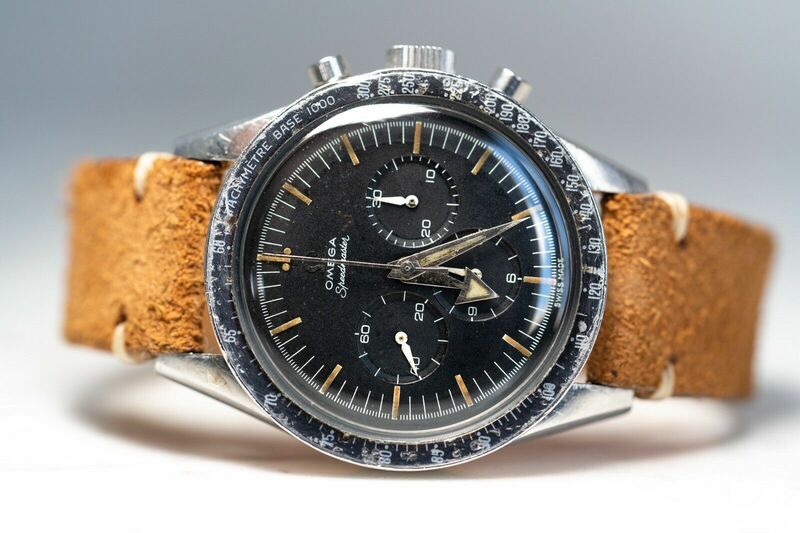 Be that as it may, technically, it was Monday (July 21, 1969) that Buzz Aldrin first stepped onto the moon wearing the Speedmaster Professional — making it the first watch worn on the moon. Neil Armstrong, who stepped foot on the moon first, left his watch in the Lunar Module as a backup because the LM’s electronic timing module had failed. 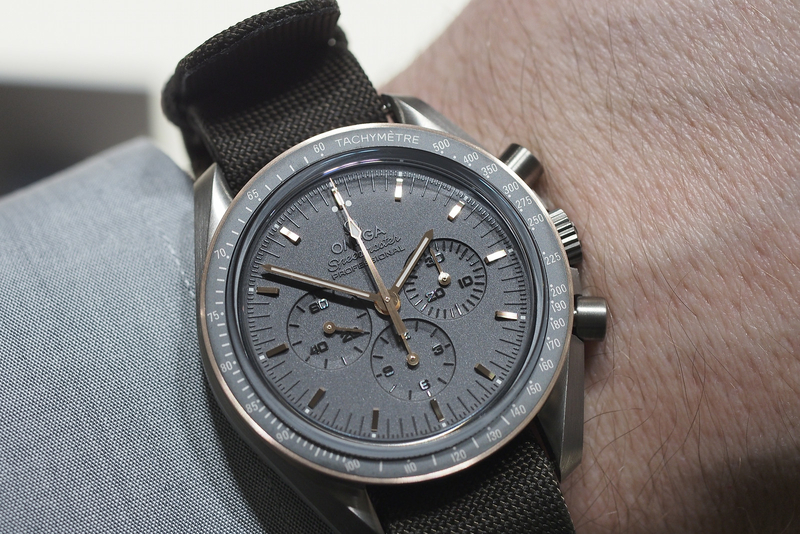 The Limited Edition Speedmaster you see here is powered by a manually wound caliber 1861, based on the caliber 321 which powered the original watch worn on the moon, and the case has the same diameter: 42 mm. But the rest of the watch is different in many ways. First, it is in titanium case (with gold hands and accents). Second, the dial is grey and made using a laser PVD technique. According to Omega, “The black PVD dial has been produced using a special laser which creates the design elements on the watch’s face by removing the material surrounding the name, sub-dial numerals and hour markers.” Lastly, it comes with a brown coated nylon fabric strap that is similar to a Nato strap, something that is far different than the metal bracelet on the original moon watch. 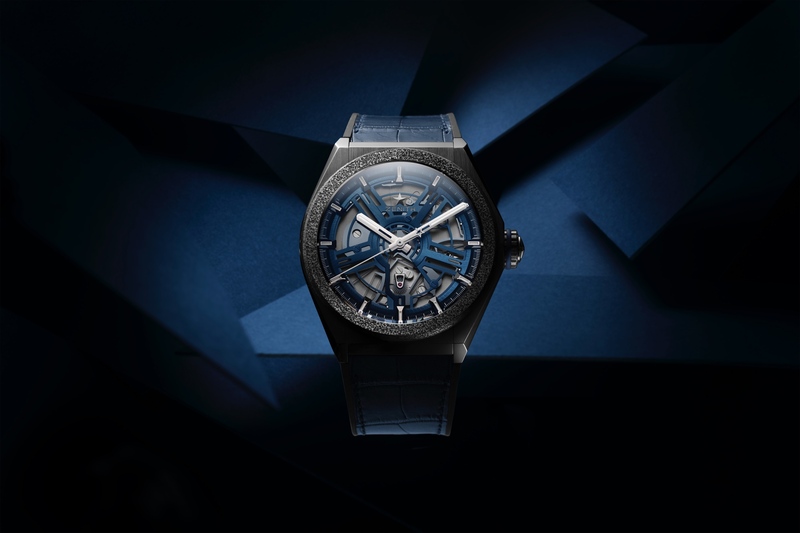 The Speedmaster Apollo 11 45th Anniversary Limited Edition is available in an individually numbered limited edition for $7,700.